“The most wonderful time of the year” is almost here! You know what that means, right? It’s time to prepare for loads of Christmas cheer, a jam-packed calendar, and long to-do lists. 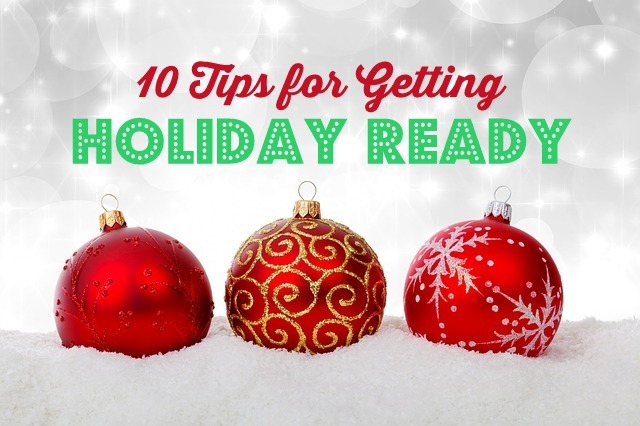 Fortunately, you can get a jump start on getting ready for the holiday season this year with ten tips I am excited to share with you! 1. Prepare your calendar. December is especially busy, and if you aren’t a careful planner, the month will whiz by and some of your important Christmas traditions might get missed. In our house, if it doesn’t make it on the family calendar, chances are good that it won’t happen. Don’t let other less important or non-important things take over your calendar. Start by putting the have-to-do items on your calendar. These may include commitments you have because of your job, school, sports, or church/community involvement. Next, add in your family traditions. You might want to mark off time for a family Christmas party, caroling at a local retirement center, attending the Nutcracker Ballet, going sledding, baking and decorating Christmas cookies, or visiting a community light display. Be sure to save some days for Christmas shopping and wrapping too. 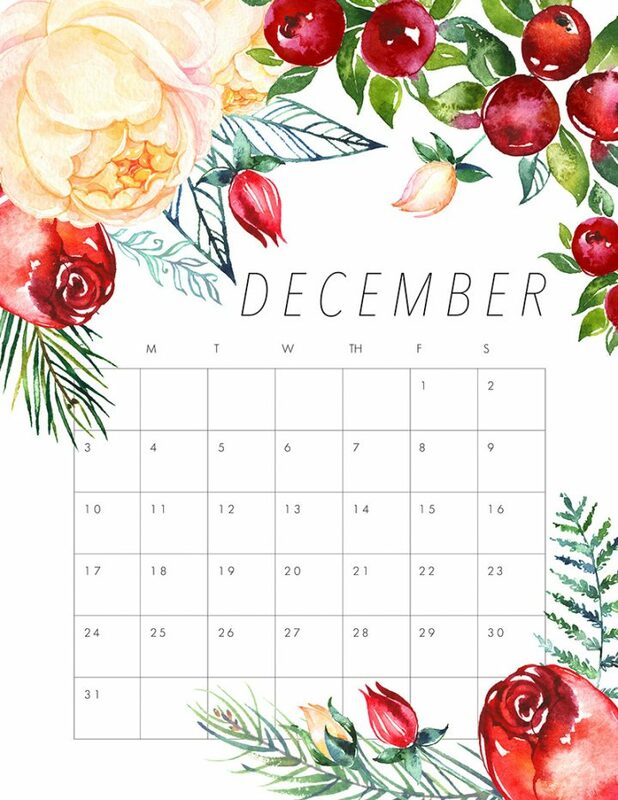 You can get a free printable December calendar from The Cottage Market. 2. 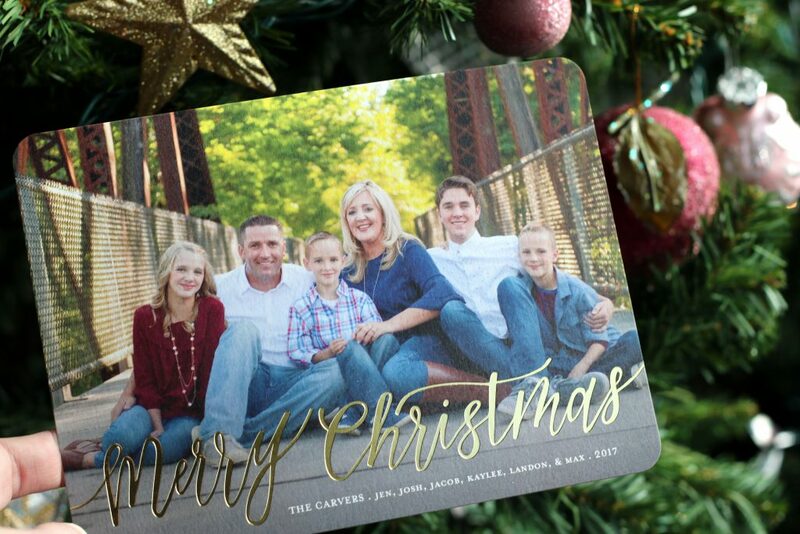 Plan for Christmas cards. 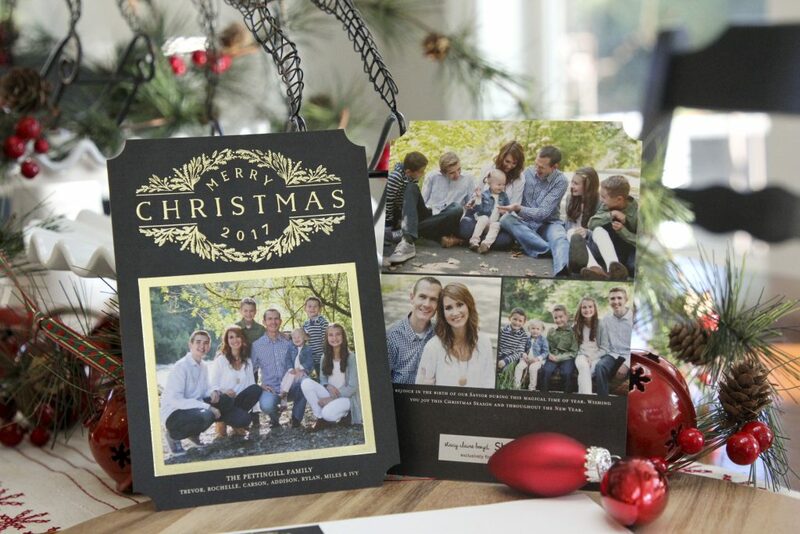 One of my very favorite parts of the holiday season is hearing from friends and family from across the miles. I’m 100% sincere when I say that the highlight of my day is making the short walk from our home to the mailbox and retrieving little pieces of Christmas cheer that come in the form of holiday cards, photos, and letters. 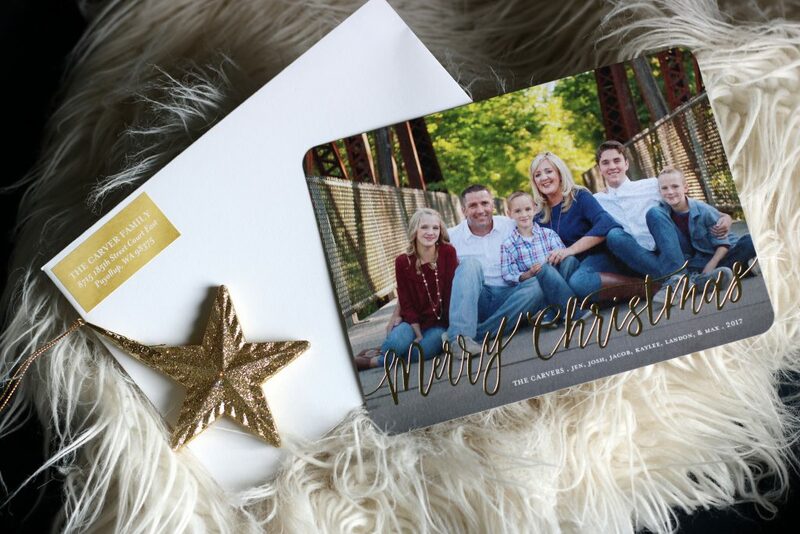 Because I love receiving Christmas cards, I know others do too. 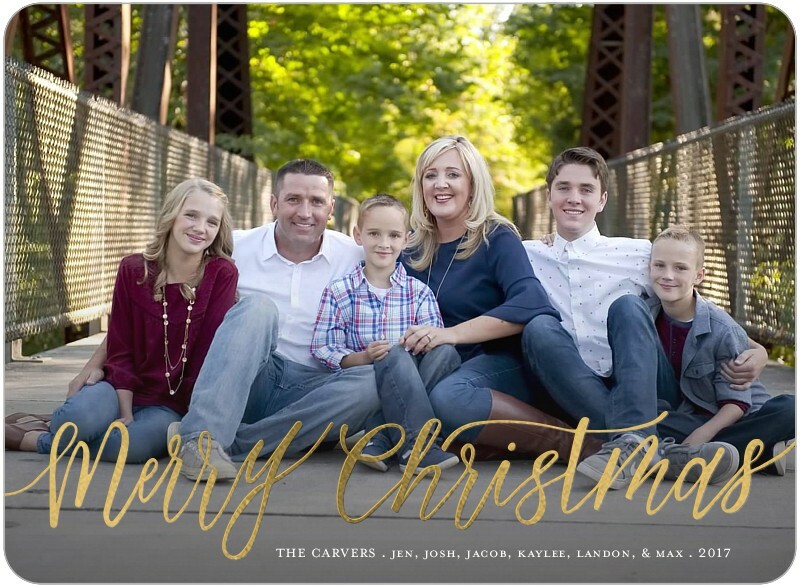 One of our yearly traditions is sending out an annual holiday card. 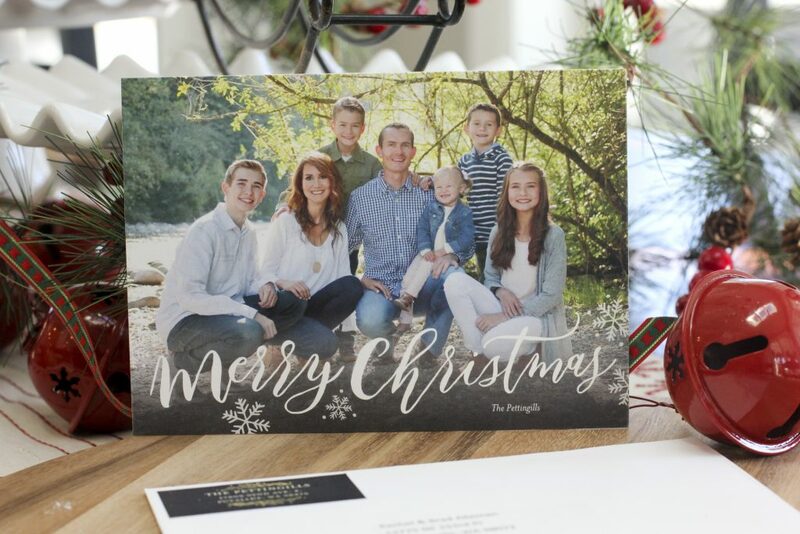 By starting the card process early in the season, you can give yourself more time to gather addresses from those who may have moved, select the perfect holiday stamps before the Post Office gets crazy, and stuff and address the envelopes. 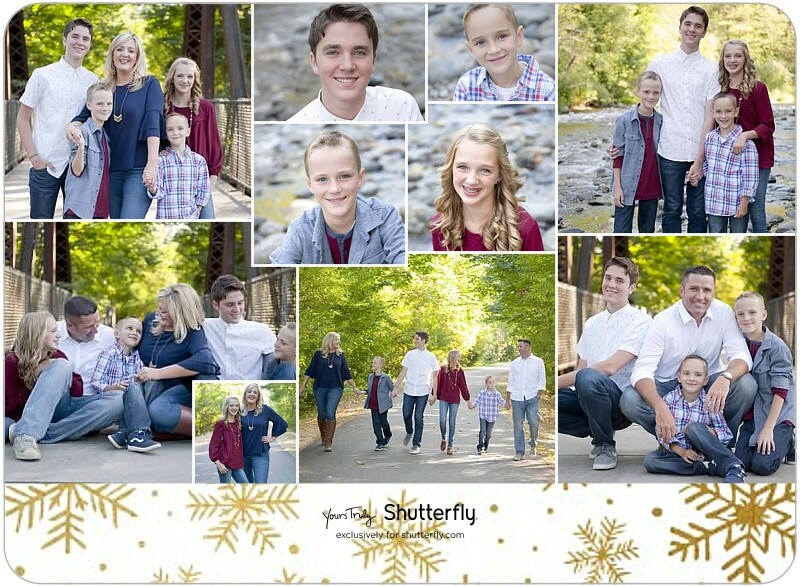 This year, we tackled our family photos in August and submitted our card order through Shutterfly right after Halloween. 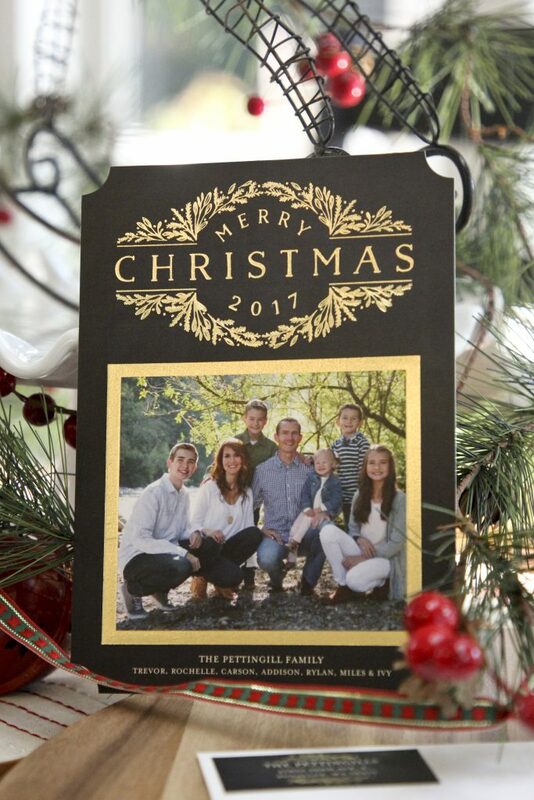 They had so many gorgeous card designs to choose from, including ornament, tri-fold, gatefold (new! ), glitter, and this year’s winner–foil stamped! I had so much fun personalizing my card. I could choose everything from the card design, corner style (ticket, round, square, etc…), style of paper, number of photos featured, font style and text size, envelope color, liner design, and more! I love that I could save myself time by getting coordinating address labels, and could even splurge on customized envelope addressing too. Here’s a peek at this year’s card design. And here’s my friend’s cards. 3. 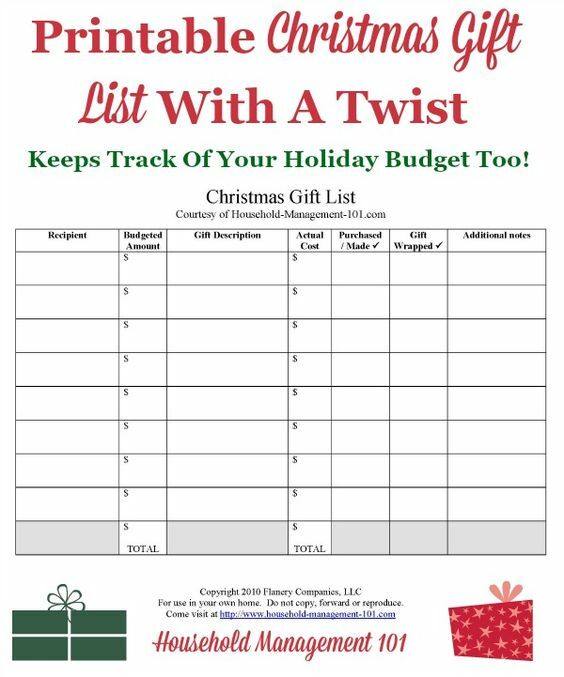 Make a gift list. Even Santa makes his list and checks it twice. Whether you have dozens to buy for or just a few, making a list of those you plan to shop for can help you avoid those “last minute” panic-filled shopping trips. Our gift list usually includes, family, close friends, neighbors, teachers, and coworkers. The more detailed the gift list, the better. Take the time to solicit gift ideas from your children, spouse, and relatives at this time. Decide on your neighbor gifts. If multiples of the same item will be given, be sure to include a tally of how many of each thing you will be buying and any special packaging needed. Here is a great free printable from Household Management 101. 4. 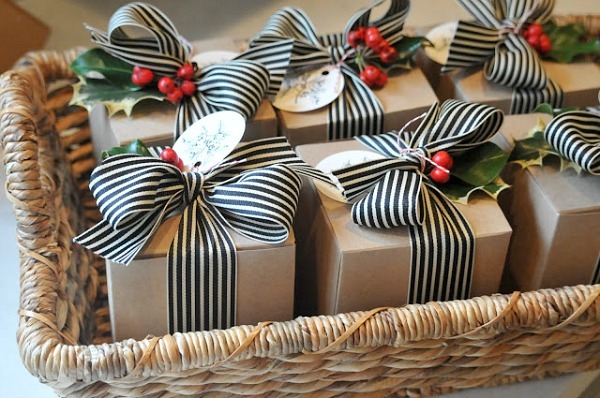 Stock up on gift wrapping supplies. Nothing is more frustrating than sitting down to wrap presents and realizing you’re missing a necessary supply. Take time now to stock up on tags, bags, boxes, tissue paper, tape, ribbon, and wrapping paper. Many people like to set up a little wrapping station that includes things like scissors, markers or pens, and fun embellishments. If Santa wraps his presents in certain paper, be sure that this paper is kept well-hidden prior to Christmas. 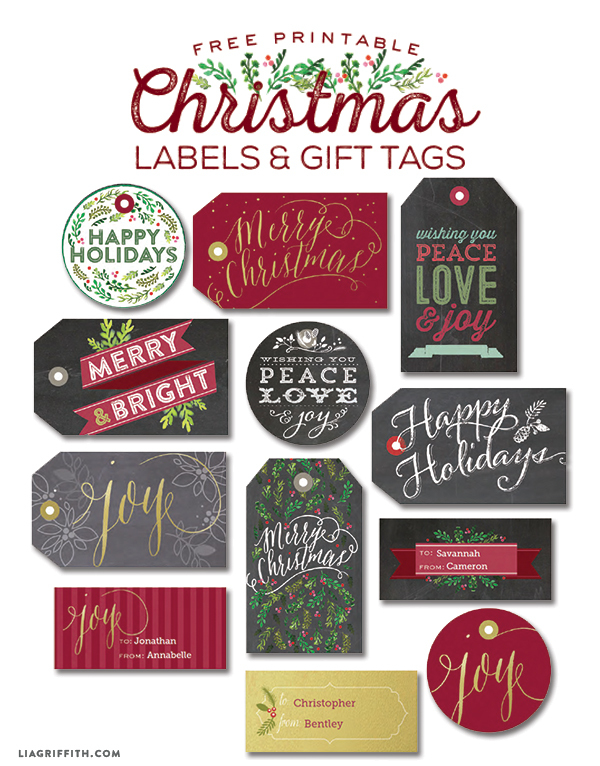 Free printable gift tags/labels via Lia Griffith, as seen on WorldLabel. 5. Complete pre-holiday cleaning. With holiday parties to attend, shopping to finish up, and a whole lot of fa-la-la-ing to do, the last thing you’ll want to do during the holidays is clean! Take care of the cleaning now, to free up your time for more fun and festive things later. Think of it as the fall/winter equivalent of “spring cleaning”. 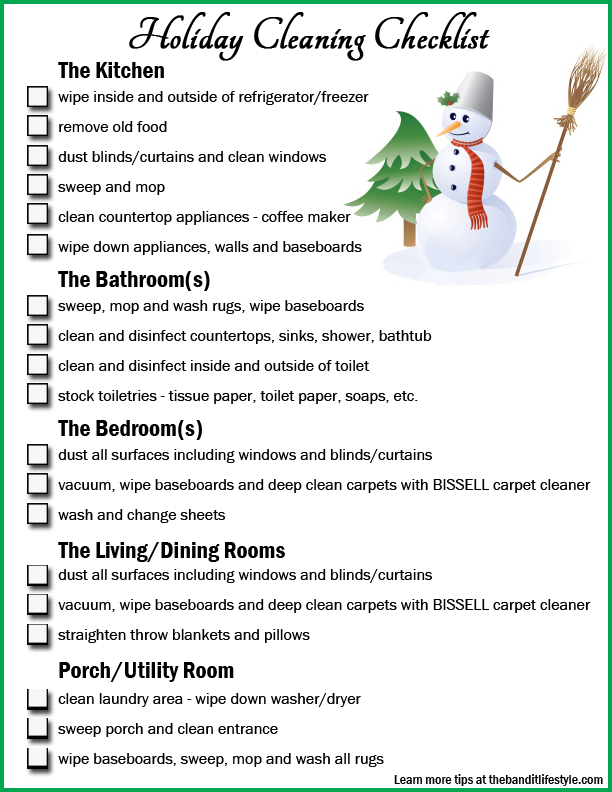 For suggestions on things to clean pre-holiday, here’s a great free holiday cleaning checklist you can print out from The Bandit Lifestyle. 6. Complete pre-holiday purging. The holidays bring with them a lot of visitors and a lot of extra stuff. Take time before the holidays to de-clutter and purge. Quickly go through cupboards, drawers, and closets making a garbage pile and a donate pile. You’ll be so happy you’ve cleared up some extra space for new Christmas clothes, toys, gadgets, and appliances. Go through your refrigerator and pantry and throw out expired food, making room for the ingredients you’ll need for your holiday menus and entertaining. 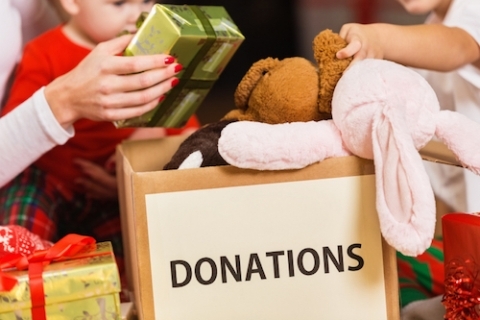 Consider donating non-perishable food items that you won’t use to a local food bank. 7. Plan your holiday outfits. Whether you’ll be taking holiday photos, wearing special outfits to visit Santa, attend the ballet, or impress at Christmas parties and holiday functions, you won’t want to stress about finding the perfect outfits last minute. 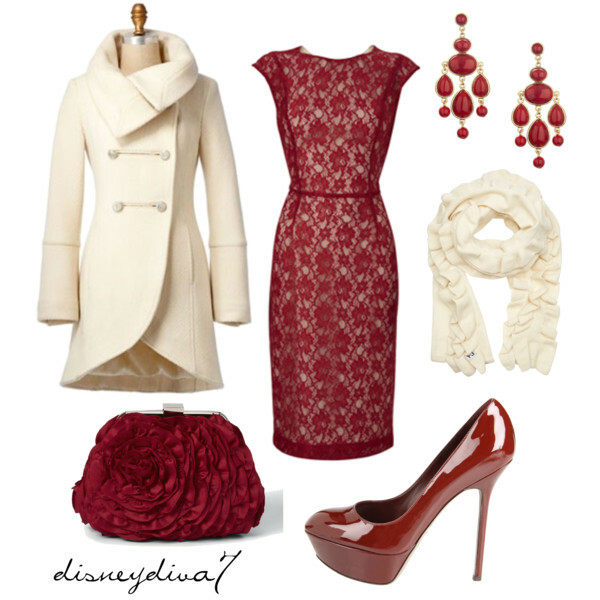 Plan ahead to ensure you have the outfits, shoes, and accessories needed for those special holiday moments. 8. Put up outside holiday lights while the weather is still decent. Just because you put up your outdoor Christmas lights in early November doesn’t mean you have to turn them on so early. If the weather in your neck of the woods gets wet and cold during December, why not get your lights on your house before the dreary conditions hit? 9. Plan your holiday menu(s). If you’ll be hosting any guests over the holidays or just want to plan some special meals for your family, plan ahead to save your sanity. Create a holiday meal board on Pinterest and pin your favorite recipes. Or, collect your favorite family recipes from home and organize them into a special holiday file that you can easily access. From the recipes collected, create your ingredients list and a subsequent shopping list. 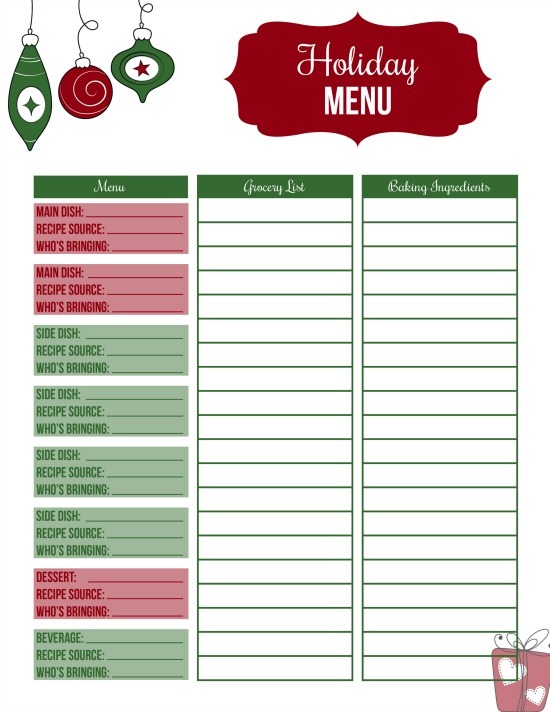 Hoosier Homemade has put together this fabulous holiday menu planner which you can download for free. 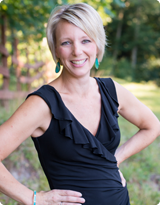 Plus, she has some pretty great menu ideas on her website too, if you need a little inspiration! 10. Decorate. 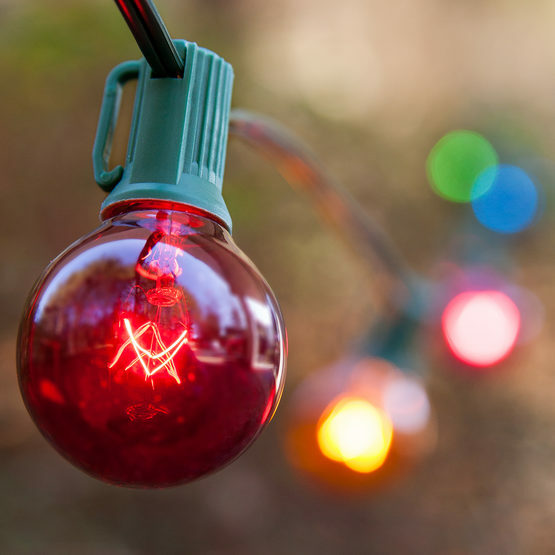 Whether you like to decorate for Christmas before Thanksgiving or after, there are some things you can do ahead of time to help prepare for decoration day to make things go smoothly! 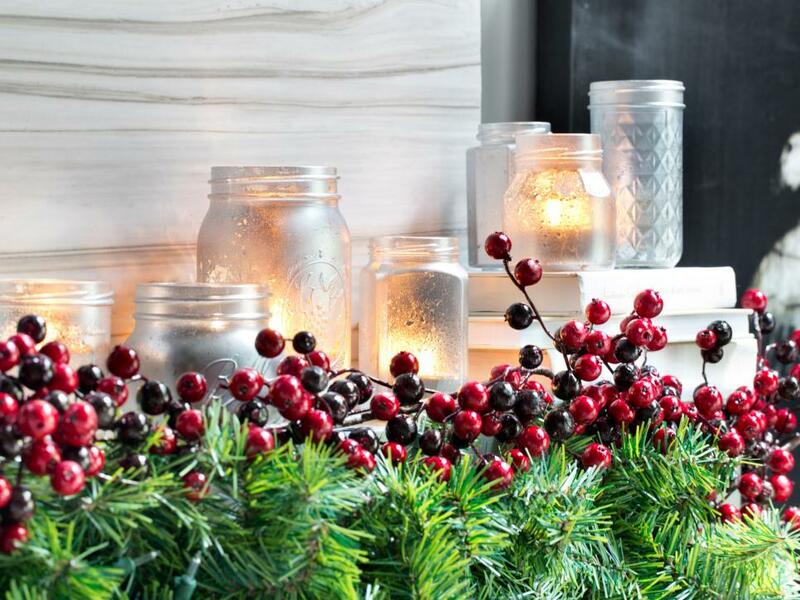 Finish any DIY projects before the holiday season hits. Double check light strands to ensure they are still working. Check your fragile ornaments to make sure they survived the year in storage and that none of them need replacing. Draw a simple pencil sketch of your decoration plans to ensure that you have enough extension cords and decor items for your grand plan. 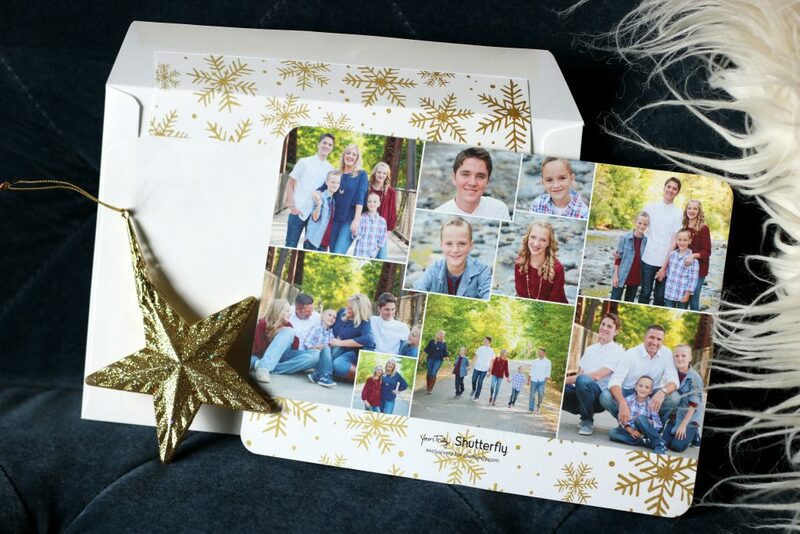 *NOTE: I received Christmas cards and address labels from Shutterfly, but the ideas and opinions I shared are my own. This entry was posted in General Site News. Bookmark the permalink.